Both 37215 and D6948 were used at the GWR's Friends of Thomas weekend of the 23rd and 24th June working 250 miles over the course of the weekend. As usual for Thomas weekends, 37215 was utilised in its character role shuttling between Toddington and Winchcombe alternating with Thomas the Tank Engine. 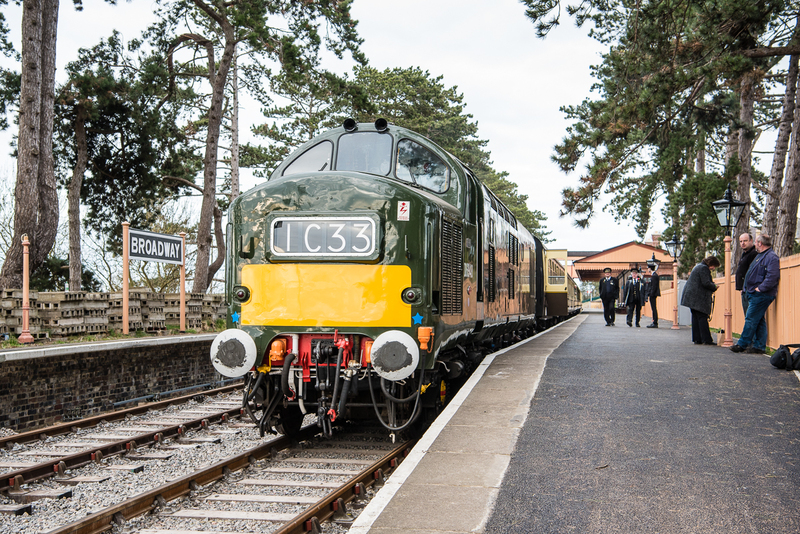 This year, D6948 was called on to operate the feeder service from Cheltenham Racecourse to Winchcombe bringing in people to the event, working 5 return trips during each day. Wednesday 21st March was a memorable day for the Gloucestershire Warwickshire Railway when the first passenger carrying trains were operated to the newly opened Broadway station. 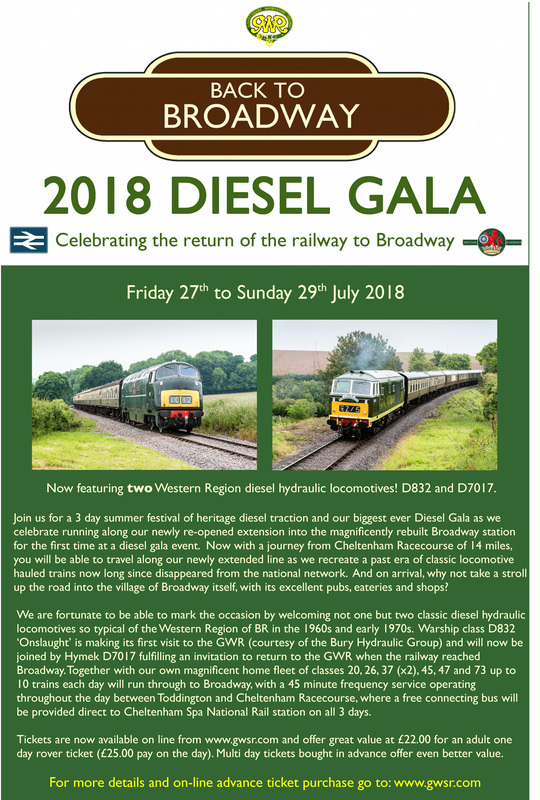 4 special trains were run from Winchcombe and Toddington and along the new extension to Broadway, the 10:00, 12:00 and 14:00 departures from Toddington being steam hauled and the 16:00 diesel hauled by D6948, chosen because of its steam heat capability. This marked several 'firsts' - the first diesel hauled passenger train ever to call at Broadway station (it was closed in 1960), and the first diesel hauled passenger train to work along the GWR's new extension into Broadway station. As a way of commemorating the event, the loco carried the head codes of the 'The Cornishman' which ran over the line from 1952 to 1962, 1C33 09:00 Wolverhampton Low Level-Penzance and 1H32 10:30 Penzance-Wolverhampton Low Level.